Are Electronics Affecting Your Kids’ Eyes? How does electronics affect kids’ eyes? Electronic devices. Our kids were raised with them. They can’t imagine life without them. And neither can we. But how are they affecting our kids’ eyes? We know first hand the strain that we feel after a long period at the computer. But what about our kids? According to the American Optometric Association, 83 % of our kids between 10 and 17 are using electronic devices 3 hours or more a day. Most parents are surprised to hear that. While we accept that we are using smart phones and computers for hours at work, it’s hard to imagine that our kids are spending so much time on them as well. Another study published in Journal of Pediatric Ophthalmology and Strabismus found that smartphones and tablets could be contributing to increased dry eye problems in kids’ eyes. Dry Eye symptoms such as burning, tearing, eye fatigue are common complaints that we hear everyday at The Eye Associates, and increasingly so in kids. Gaming glasses, computer glasses and digital eyeglasses are being prescribed more and more in order to offer symptom relief as well as protection against harmful bluelight emitted by electronics. The American Macular Degeneration Associations has suggested a link between bluelight and macular degeneration. Let’s start protecting our kids’ eyes early from macular degeneration. The difference between kids and adults is the self awareness of symptoms. Adults feeling eye strain will take a break and give their eyes a rest. We find that children, especially when playing a game, will continue using the electronic device. That is why it is important for the parent to step in and institute rules about electronic use. We recommend taking a break every 20 minutes. Also remind your kids to blink. So often computer users forget to blink. Adults are also susceptible to digital strain. Some common symptoms are tired eyes, stiff neck and headache. Click here or call 1-866-865-2020 for a comprehensive eye exam with one of our Board Certified Eye Physicians. Did you know that the human eye has over 2 million working parts? Imagine all those 2 million parts working beautifully, and then suddenly there is a poor tear film covering the cornea, preventing a clear image from being formed for your brain’s vision center to use when you read, drive and text, causing dry eyes. Achieving the right volume and mixture of lubricating fluids to be available for delivery with each blink is no easy task. 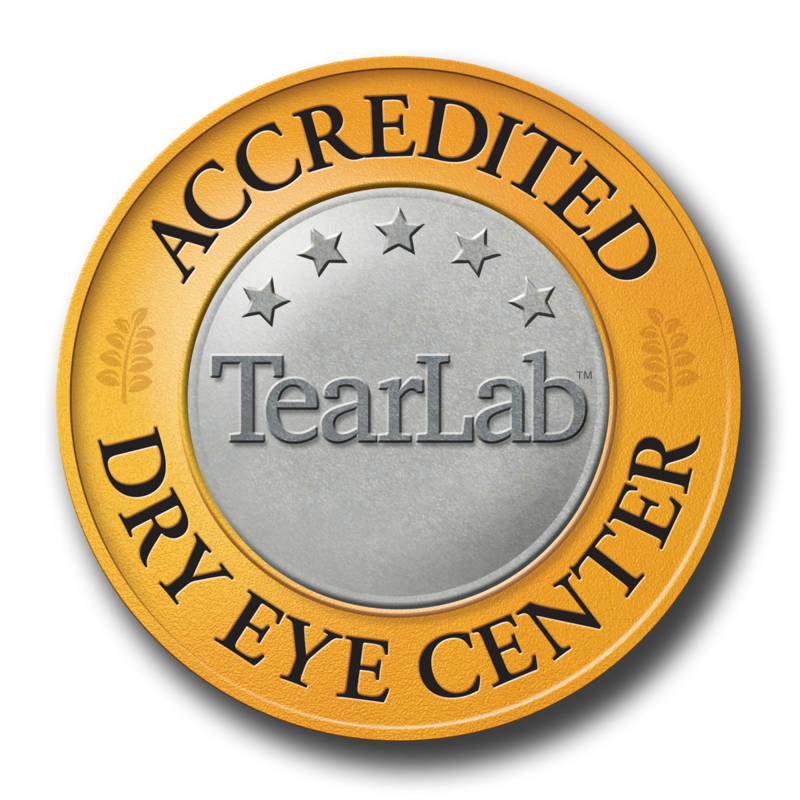 To better analyze your tear film, we now can do a simple and quick in office test (called a tear osmolarity test) that not only helps us diagnose Dry Eye Disease, but also allows us to monitor the progress patients are making in their treatment programs. In the past, we were not able to objectively quantify the quality of a patient’s tears. Now we can do that with the Tearlab equipment. When the tear osmolarity (salt content) test first came out, the results were not very consistent. This was at first felt to be a deficiency in the machine. Now we understand that this variability is the hallmark of Dry Eye Disease. Those of us who suffer from dry eyes are very aware of this variability. We have our good days, and sometimes only a few good hours in the day. Many days are filled coping with the familiar battle of fluctuating vision and discomfort. What cannot vary, though, is your dry eye treatment program. Maintain your fluid intake; do not over indulge in caffeinated beverages; apply your warm compresses, follow your lid hygiene regimen; and take your Omega 3 and Vitamin D. Do everything you can to give those 2 million parts in your eyes a clear image to work with! Right behind the Omega 3 fish oils as part of your dry eye treatment is extra-virgin olive oil. That is why it should be on the top of every dry eye patient’s cooking list. It is a member of the “short list” of foods that offer our body assistance in reducing inflammation in our joints, but it also helps with the inflammation in our tear producing glands of eyes. The next time you travel to the Napa Valley, do your Dry Eyes a favor. Visit the wonderful OLIVE OIL tasting rooms. Yes, there are now several excellent olive orchards producing extra-virgin olive oil, some describe as “liquid gold”, right here in the good ole’ US of A. Use olive oil as often as you can for cooking or take it straight. I call it the “dry eye shot”. Pour out the tequila and fill your shot glass with olive oil (flavored, if you would prefer). The chocolate-infused oil is said to be great over ice cream. Wow, we can now enjoy our ice cream AND feel good because we are improving our dry eye condition at the same time. From one ice cream lover to another, Richard Hector. Schedule your Dry Eye Evaluation today to be seen by our Fellowship Trained Dry Eye Specialist, Richard Hector MD, or one of our board certified eye physicians. 1. Do you need another reason to quit smoking? Add Dry Eye Disease to the list. 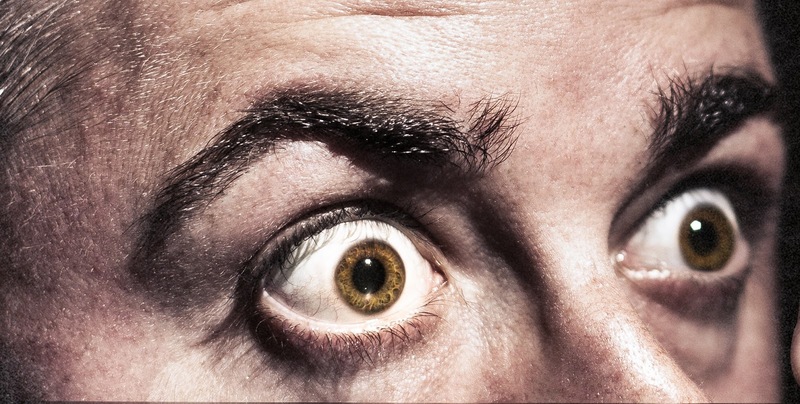 Recent studies have shown even second hand smoke is very harsh to the surface of the eye. There are so many toxic chemicals in cigarette smoke that can break down your protective tear film and the surface corneal tissue. If you are around a lot of cigarette smoke, you probably have noticed the need to increase the use of artificial tears. Also, smoking is known to be a strong contributor to the development of macular degeneration. Outside of family history, smoking is most common denominator in macular degeneration patients. 2. I know I’m spoiling your fun but alcohol is also not dry-eye-friendly. It causes dehydrate which is never good for Dry Eyes. And forget that drink on the plane because studies have shown that the atmosphere on a commercial aircraft is drier than any desert. Drink plenty of water on your trip instead. 3. Make-up and dry eyes: Make-up, such as waterproof eye make-up, mascara, shadow, etc., has a much higher discomfort rate and sometimes causes a toxic reaction to the sensitive skin of dry eye sufferers. Always keep your make-up fresh by disposing old bottles after 2-3 months. And thoroughly clean off your make-up every night before going to bed. 4. Contact lenses are not just an aggravating factor for dry eye sufferers, but they can even cause dry eye damage to the cornea. Daily disposable lenses are the safest contact lens for dry eye patients. And never, never wear your contacts if your eyes are red and uncomfortable. 5. We used to recommend that you avoid too much caffeine because it is a mild diuretic. But some recent studies have shown a reduced risk of dry eye in coffee drinkers, and that caffeine might actually stimulate tear production. 6. Did you know that children can also suffer from dry eyes, secondary to congenital endocrine, autoimmune and inflammatory disorders. If your child has persistent complaints of painful, irritated eyes, don’t ignore it… Bring it to the attention of your pediatrician or better yet, make a visit to an eyecare professional for an evaluation. 7. Those simple carbs that are bad for the waistline are also bad for your eyes. They compete with the complex carbs needed by ocular tissue and aggravate your dry eye symptoms. If you are a Bradenton patient who’s concerned about the chronic discomfort of dry eyes or wish to seek dry eye treatment, then visit our eye surgery facility and meet with our expert ophthalmologists to discuss treatment options.